Every January, around 3,000 global leaders gather at an Alpine ski town in Switzerland to align efforts to improve the state of the world. This year, I had the privilege of being one of them. 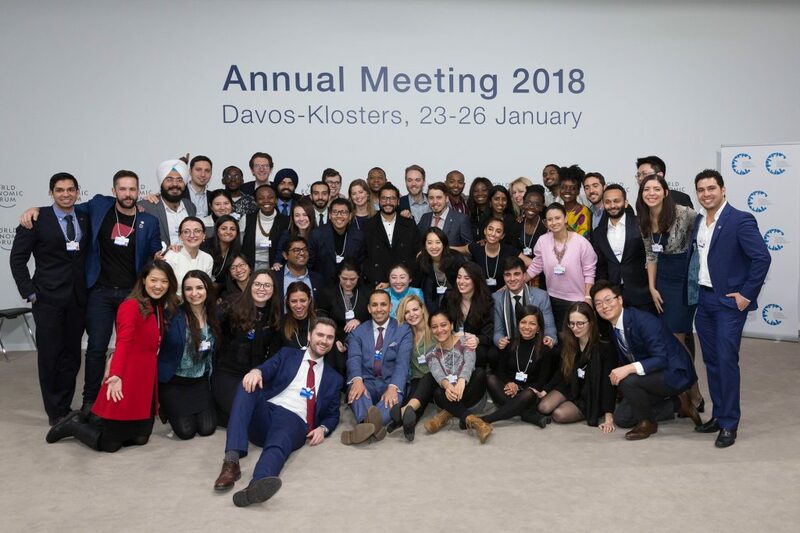 I was selected as one of 50 young leaders from the Global Shapers Community to participate last month in the World Economic Forum Annual Meeting, a convening of leaders in government, business, academia, and media annually in Davos. I was representing my city of Chicago, amplifying the voice of 20-somethings and raising the profile of StriveTogether. 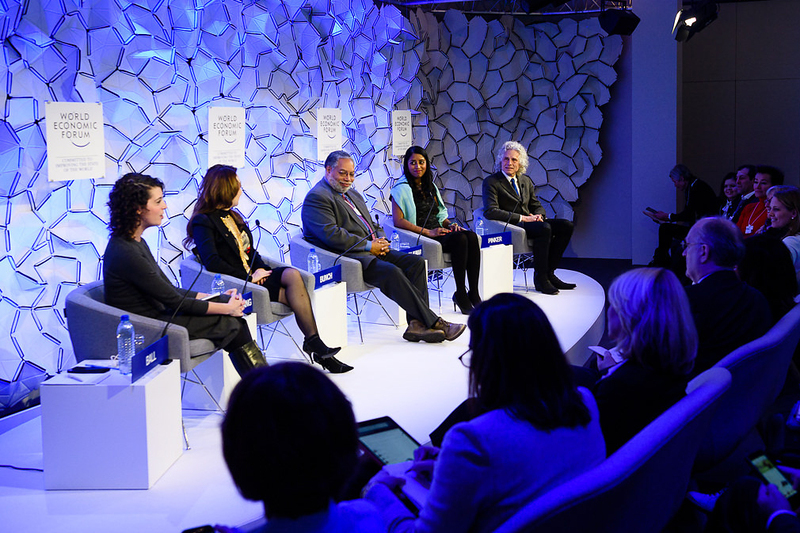 The theme of Davos this year was Creating a Shared Future in a Fractured World, which is both timely and consistent with StriveTogether’s vision for a future of learning. 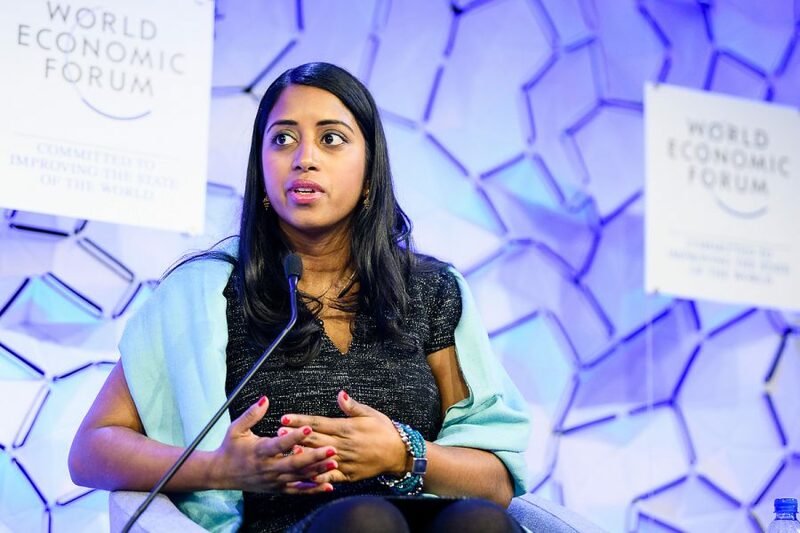 I shared my thoughts about the theme on the World Economic Forum’s Agenda before I left, and here are a few takeaways from my week at Davos. For the first time, all seven co-chairs of the Annual Meeting were women, which is symbolic of the type of transformation needed to change mindsets about power and leadership. Yet only 20 percent of delegates were women leaders. I spoke on a panel about political correctness. A few Global Shapers spoke with Carolyn Tastad, North American president of P&G, about women and leadership, and she shared stories about corporate efforts to broaden the mindset of what normal is and to confront assumptions about leadership. P&G partnered with Seneca Women to create an exhibit on Myths vs. Reality, which addressed biases about women in the workplace to change the narrative about fixing the system instead of fixing women. As we work to build the capability of leaders and practitioners across the country, how might we positively contribute to this shift in mental models about what leadership is and what it requires? Reflecting on the future of work felt very relevant to cradle-to-career partnerships working to change how communities are organized to support children and families. Canadian Prime Minister Justin Trudeau offered one powerful example when he explained that while 50 percent of his Cabinet are women leaders, 100 percent of the Cabinet is focused on gender equity, applying a gender lens when making decisions. To take this further, our community leaders ought to apply both a gender lens and a racial equity lens in the decisions they make. I had the opportunity to moderate an intimate Q&A with former Microsoft Founder Bill Gates, who spoke passionately about how if you take a broader view of history, global well-being is at its peak. Overall, the world is getting better and it is possible for us to work together to achieve the Global Goals set forth by the UN Sustainable Development Goals. While I was at dinner with a few Nobel Laureates in Economics, much of the conversation focused on place-based strategies to rejuvenate city systems to support vulnerable populations. Angus Deaton had just published an op-ed in the New York Times on the subject, and leaders expressed an obligation to live up to the ideals of a social contract. Kate Raworth, author of Doughnut Economics, offered a unique perspective to change the goal of global economies. Rather than seeking unlimited market growth, what if we designed our systems given the constraints of our geography and the natural resources of our world in service supporting the most vulnerable populations and societies? Similarly, John Goodwin of the LEGO Foundation encouraged us to redefine play and reimagine learning, exploring ways to unlock creative ideas and harness curiosity in service of the greater good. 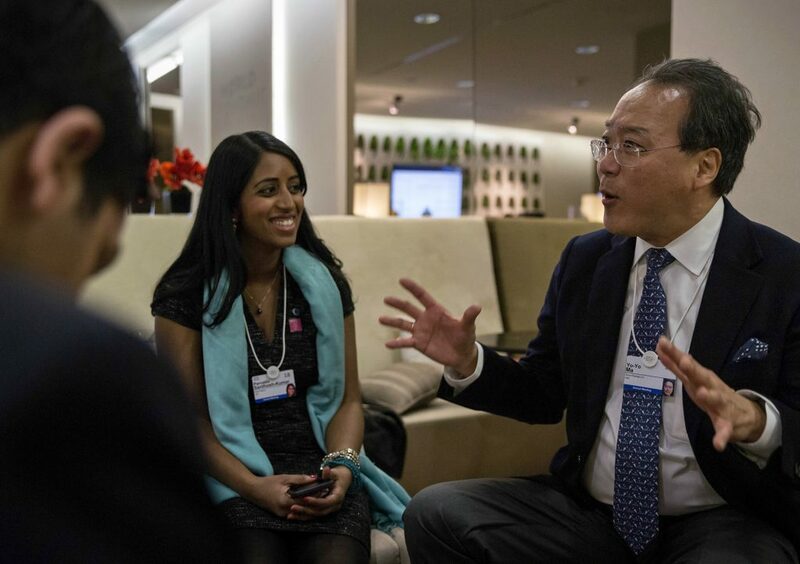 A small group of Global Shapers had a serendipitous meeting with Yo-Yo Ma, who is on the board of the World Economic Forum. We shared ideas about how the Forum can best support youth leaders around the world. A new addition to the Programme was a series of dialogues entitled “We Need to Talk About…” I facilitated a dialogue on talking about privilege (a seemingly ironic topic to discuss among the elites at Davos). Participants eagerly shared stories and perspectives, dismantling the myth of the meritocracy, debating the relative efficacy of affirmative action and discussing the political implications of targeted universalism. However, many bristled when I challenged them to make action commitments before leaving the conversation. Later when I asked Jack Ma, executive chairman of Alibaba Group in China, the first audience question in a livestreamed Q&A session, his takeaway was that “Philanthropy is about action, not about giving money.” This resonates with how StriveTogether has seen civic infrastructure evolve in communities in terms of aligning investments to what works alongside the requisite skills and capabilities to sustain the work. Serving as a panelist alongside Harvard cognitive psychologist Steven Pinker; Lonnie Bunch, National Museum of African American history and culture director; and social entrepreneur So-Young Kang, I shared examples of how StriveTogether helps community leaders and practitioners work across lines of difference, uncover mental models at the root of structural inequities and work together to take action toward results rather than arguing for the sake of winning. Our delegation of 50 Global Shapers represented cities in 40 countries working on social impact efforts on climate change, education, health care and more. Ultimately, bringing together the world’s leaders once a year is fruitless if it’s not focused on taking action to achieve better results for the children, families and communities without a seat at the table. 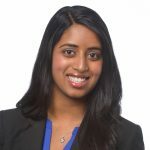 As a young woman of color at the table, it would have been easy to feel marginalized and excluded in the presence of power. Instead, I felt an urgent obligation to speak up, ask tough questions and challenge leaders to do more in service of the greater good. Returning home, I’m reenergized to deepen StriveTogether’s work in communities across America to change the power dynamics and align entire communities’ efforts toward better and more equitable outcomes for every child, cradle to career.